X0 turns T1 coil excited,4s after T1 delay normally open contact closure,While T2, Y1 coil excited, Y1 output.After T2 coil excited 2s produce a series of actions in the following order (note the timing chart corresponding analysis). 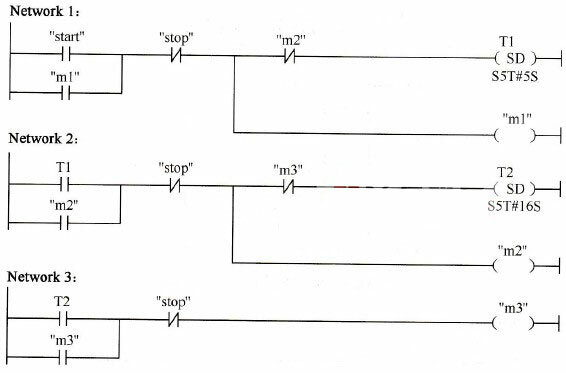 ⑥ next scan cycle, T2 after reset normally closed contact and so excited coil T1, after 4s T2, Y1 coil excited again ……. 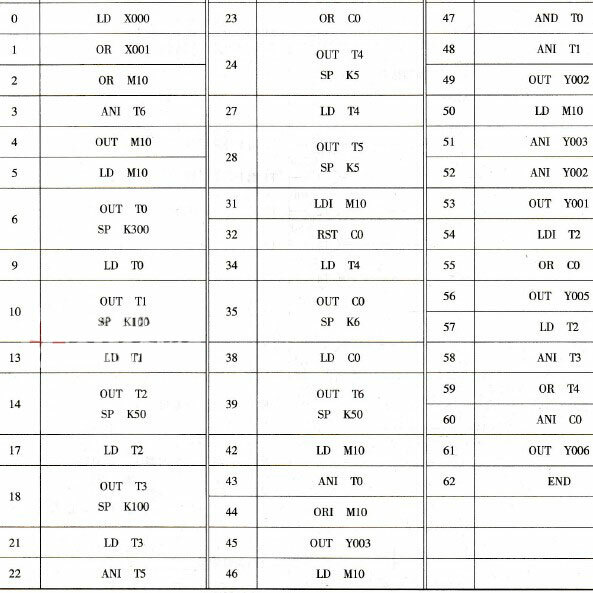 This entry was posted in plc program and tagged PLC ladder, PLC programming on June 27, 2016 by arco. 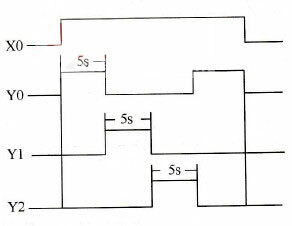 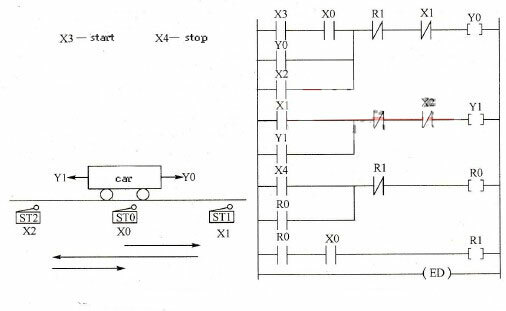 Enter Ⅹ0 termination without delay self-locking button opens the circuit Ladder Logic. 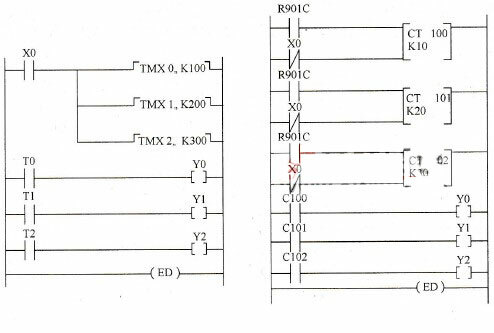 When the input terminal is turned Ⅹ0, R0 internal relay coil is turned on, its normally open contact closure output Y0 R0 is turned on, and the timer T0 start time, the delay 5s, T0 normally closed contacts open, the output Y0 is OFF . 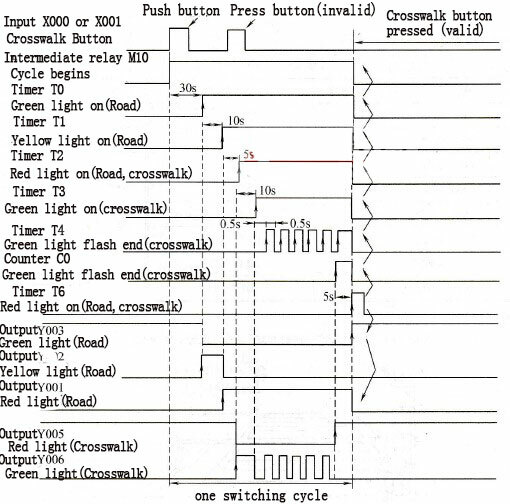 Input Ⅹ0, X1 is not connected with self-locking button controlled device connected to the output terminal Y0. 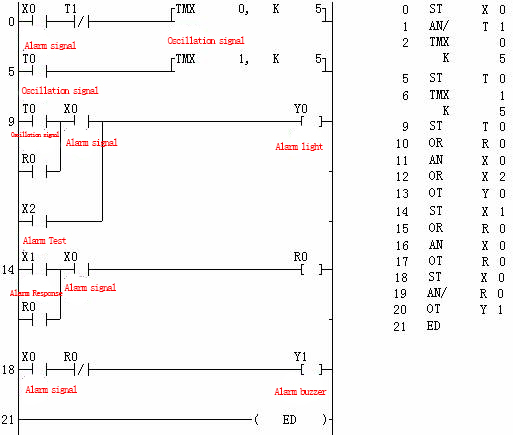 When the input signal is turned Ⅹ0 terminal, enter the relay coil Ⅹ0 turned on, its normally open contact Ⅹ0 closed, internal relay R0 is turned on, its normally open contact closure R0, ON timer T0, T0 is set K50 value decrements. 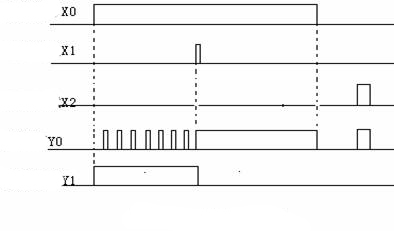 Reduced to “0″ T0 normally open contacts closed, the output relay Y0 with respect to the delay 5s after X0 is turned on. 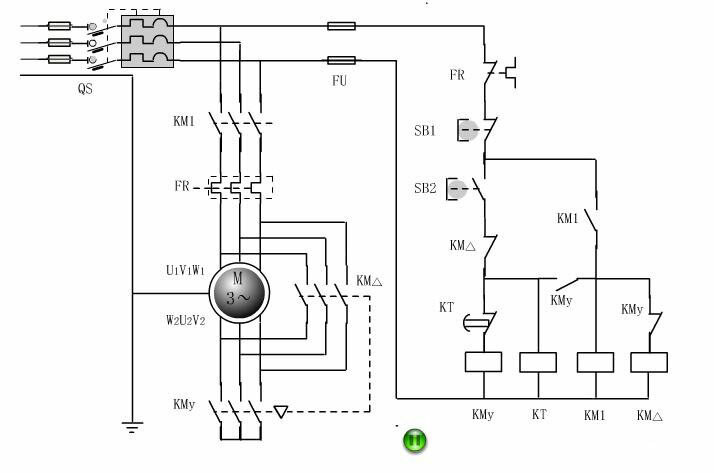 When the input Ⅹ1 turned on, the internal relay is energized R0, R0 normally open contacts disconnect, reset the timer T0. 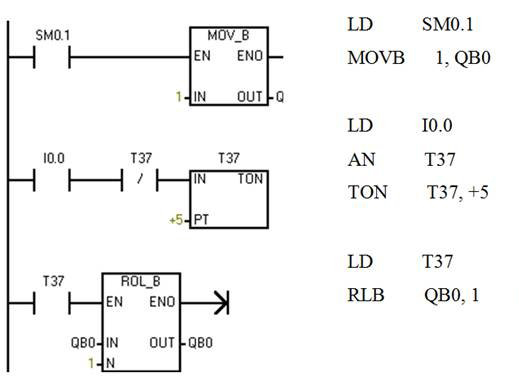 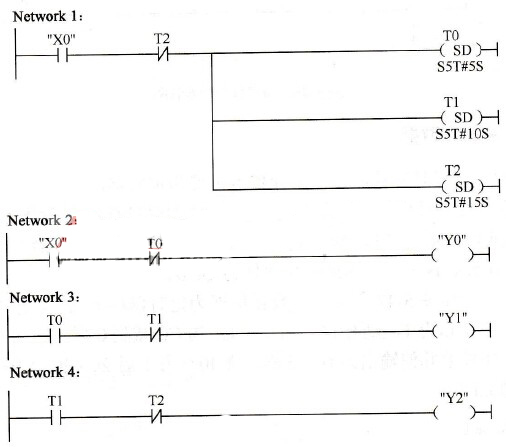 T0 normally open contacts disconnect the output Y0 is 0FF. This entry was posted in plc program and tagged PLC ladder on June 23, 2016 by arco.